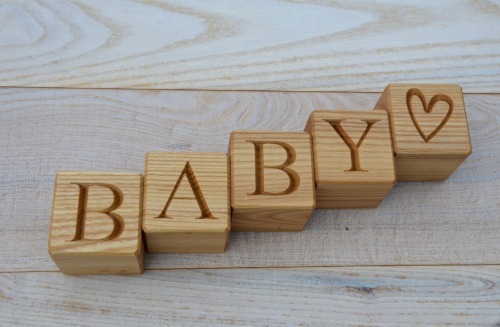 2 inches large personalized wood name blocks - a great gift for children! These personalized wood cubes with letters are made of ash wood with a great looking decorative texture and natural wood smell. You can use them for nursery, as a kid's room wood decor, home wood decor or a wedding decor. We can engrave any letter, number or a symbol on these blocks. - they are safe and non-toxic. The blocks are packed in a linen bag. If you buy them as a gift please let us know and we will add a greeting card to your purchase. Each wood cube is 2 inches (50mm) large. The letters are engraved on one side of each block. When you have chosen the necessary number of blocks, please leave a message for us telling which letters you need. If you love all natural wood, you will fall in love with these wonderful wood blocks made of natural ash wood.